Top picture is a Q made out of a braid and the bottom picture in the U made out of a braid. 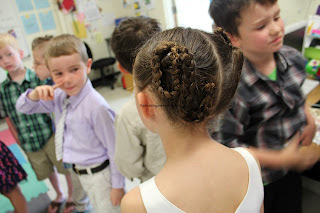 I did this for the Q&U wedding they did in Kindergarten. You know Q&U go together. 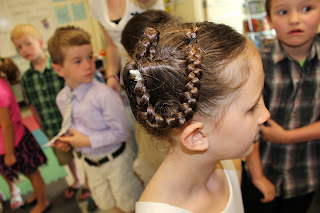 I got a lot of compliments on her hair that day. I used crepe paper, white copy paper (the thicker the better) and craft fussy circles from the dollar store to do our Halloween door. I had a lot of people tell me my door was really cute. 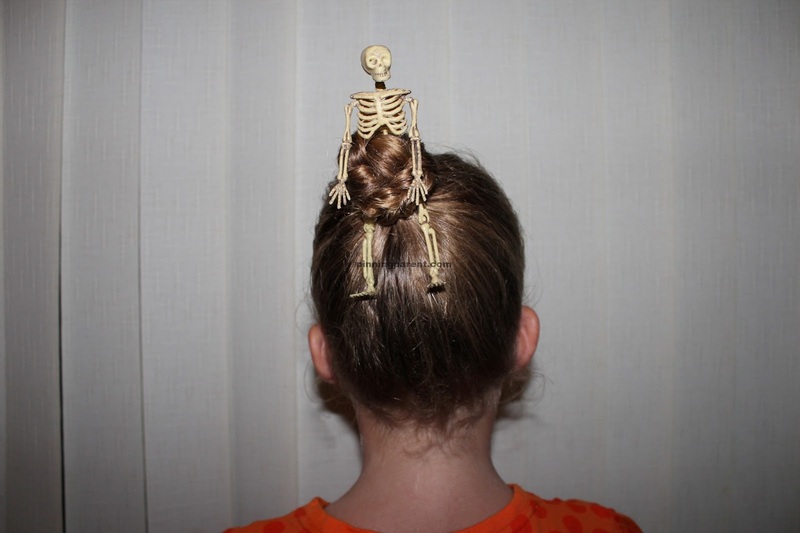 This was just a little silly thing I did with my daughters hair for Halloween. It turned out pretty cute I think. I pulled her hair into a ponytail then braided it. Then I wrapped the braided ponytail around the skeleton into a bun, that easy. Have fun with it, and enjoy. This is my DIY garden seed starter box. 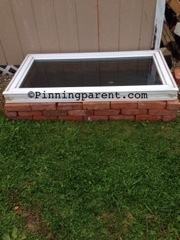 I made this for free from some bricks that were laying here at my house and a free window I picked up from someone's yard. I made it bigger this year using more free bricks and a free old screen door. Plant your seeds that you want to grow in your garden, and after watering put the window on top of bricks. The sun will beat on the window making inside nice and warm for your seeds to start growing, and of course follow the directions on the seed packages for depth, and growth times. Water when needed, and replant your new plants when they and your garden is ready for planting. Have fun doing your garden from scratch. Check out this Video above, click on the link under the picture! 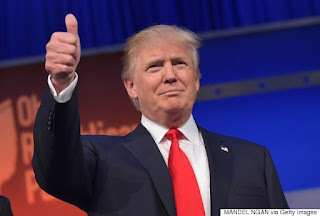 The American people need to realize that Donald J. Trump is our last hope. He is the only person who is capable of saving America and the Western World as a whole from falling into the depths of despair due to globalist agendas and a crippling political correctness era. These clips show Donald Trump from all the way back in 1986 up until present day, and they do a fantastic job at demonstrating the kind of person Trump is, and why he deserves to be the next president. 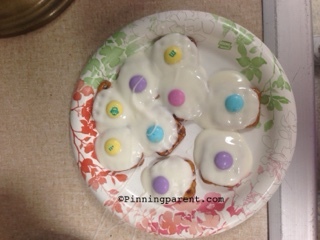 Little Easter Eggs made from square pretzels, white chocolate, and M&M's. Melt your white chocolate in a pan above a pan of hot water. Once the chocolate is melted pour very carefully into a food container that looks like them ketchup and mustard bottles, (caution very hot). Put the lid on it and starting pouring the chocolate in circles to make the egg shape. Then before it starts to harden put the M & M in the middle. These are very easy and super cute for a class treat! A Valentine's Day card box made out of a cereal box, wrapping paper, hearts for the feet, googly eyes, stickers, and pipe cleaners for the antennas. Copyright 2013, Pinning Parent-All rights reserved!. Watermark theme. Powered by Blogger.